Boost your digital transformation with Dokobit’s features for teams. Smooth signing processes, neatly organised documents and intuitively easy management of data are the things your team, customers and partners will thank for. Forget about chasing your colleagues and partners for approvals or signatures on important documents. We’ve got what you need to create a completely organised signing cycle. Add additional consents to the documents to make sure they are viewed and confirmed by the responsible person before signing. Create a sequence of actions for every signing party to make sure the document signing process is well-rounded and in order. Set deadlines and additional reminders to make sure other parties sign on time. You’ll never again have to put up with your desk covered in papers. We have all the necessary tools for you to easily manage your documents online. Sort documents into categories for a more convenient and orderly experience. 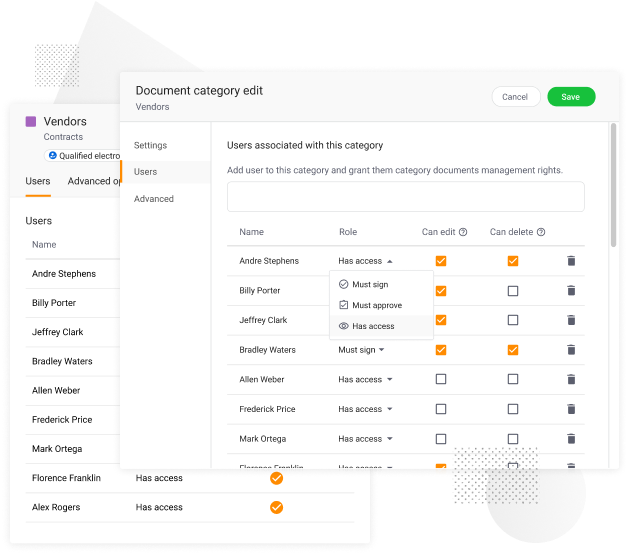 Manage user rights to edit, share or delete documents assigned to categories. Apply different roles for users: they have to sign a document or can only view it. You won’t have to deal with the complex administrative tools — we understand that simplicity is the key to productivity and enjoyable user-experience. 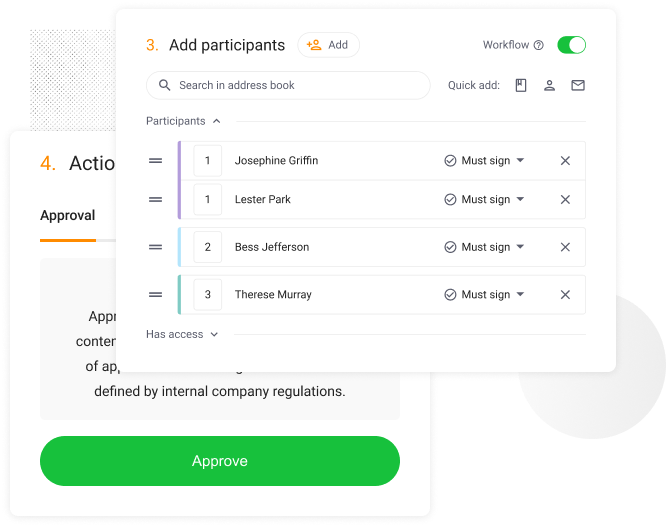 Easily manage accounts of your team members and document access rights using centralised controls to make sure sensitive documents stay in the right hands. Reduce time spent on paying separate invoices. You can give each team member their own Dokobit account, and pay for everything with a single invoice. Use different accounts for company and private purposes in order to separate document ownership, intended usage and costs. With branded UX and premium services it will feel just like home, for you, your customers and your partners. Provide branded document signing experience for your customers and business partners. 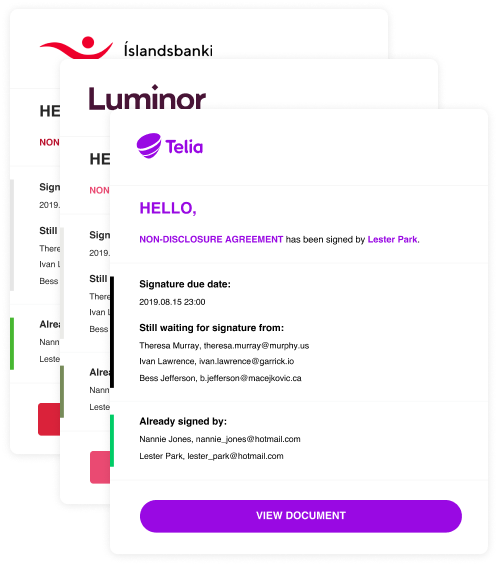 Send your customers or partners beforehand prepared documents for them to fill and sign right on Dokobit. Integrate API for automating actions in document signing portal right into your information system. Get personal trainings on Dokobit portal usage and other help needed to start using the portal. Get all the support you may need throughout the entire Dokobit usage period. Get guaranteed services availability 24/7. Dokobit has all the features you need with robust APIs and developer-friendly integration. We've done all the hard work for you.